The National Grid has devised a solution which could enable easier roll-out of ultra-fast rapid charging hubs along major routes, combating the range anxiety which is said to be a major barrier to electric vehicle adoption in the UK. The UK’s electricity network often follows motorway routes. 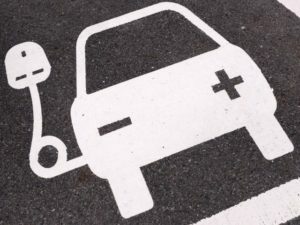 Clarifying points raised in a Financial Times report, a spokesperson told Fleet World the company had no intention to offer electric vehicle charging, but was looking for ways to enable it to happen. Its own data had shown that the UK’s motorway and electricity transmission networks followed similar routes, so linking the two would be the quickest way to widen the charging infrastructure. The National Grid report outlines how a future-proof charging network could look. It identifies a 50 sites (100 including serving northbound and southbound carriageways) alongside the motorways, each with between 30 and 50 charging points to avoid bottlenecks. Charging at up to 350kW – seven times higher than today’s rapid chargers – would enable them to suit goods vehicles, as well as the next generation of long-range electric vehicles. This would involve an investment of between £500m and £1bn to establish, the company added, explaining that the predicted costs should reduce as the technology becomes cheaper. Once complete, the network would place 90% of the population within 50 miles of one of the sites. However, the purpose of the report is to encourage charging network operators to put the infrastructure in place, and is not marking out the National Grid’s own plans to do so.